Soooo tired of the flu…finally felt like stitching something this morning. This little guy is not yet finished because, stuck away from my studio, I have to work with what is on hand and that does NOT include the perfect applicator for the eye highlights. 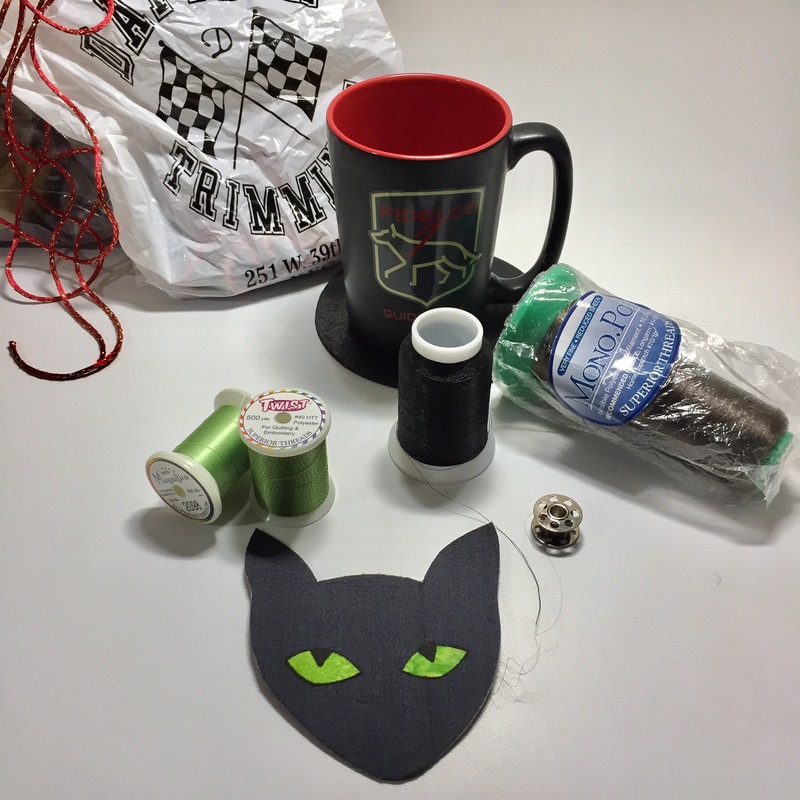 But I thought I would share it in case you feel like stitching up some kitty ornaments this weekend ;). 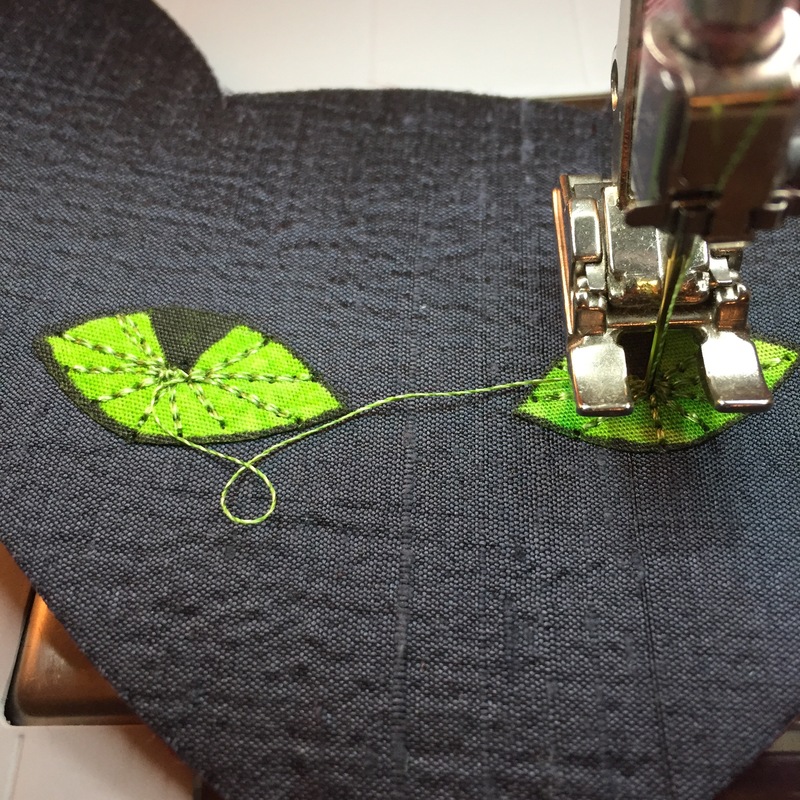 This project is a terrific way to use scraps of postcard-weight fusible and silk. 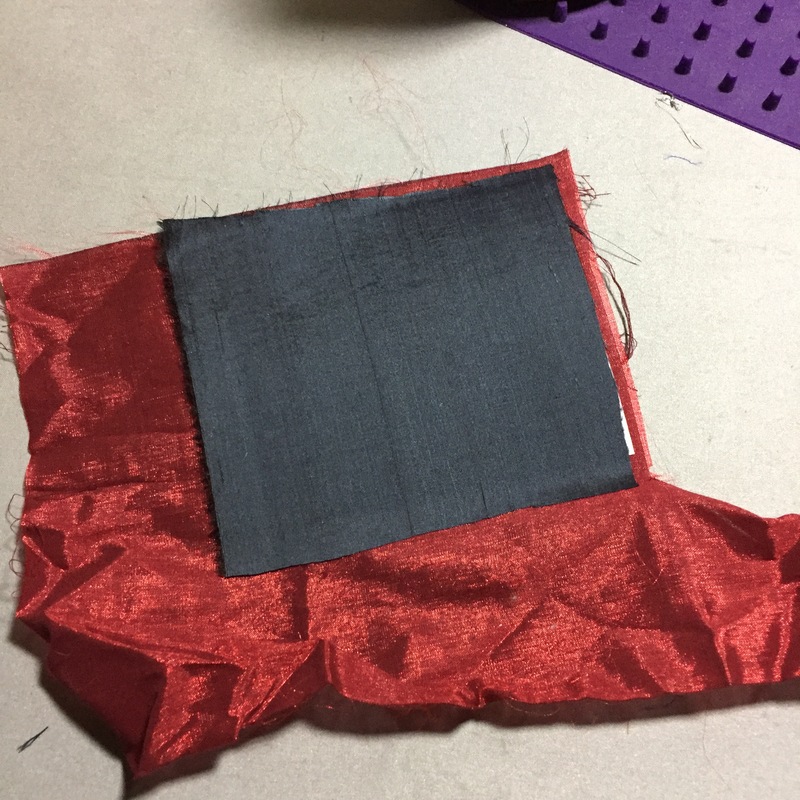 While still in my studio, I pressed black silk dupioni to one side of a small square of Peltex, and a dark red silk to the back. 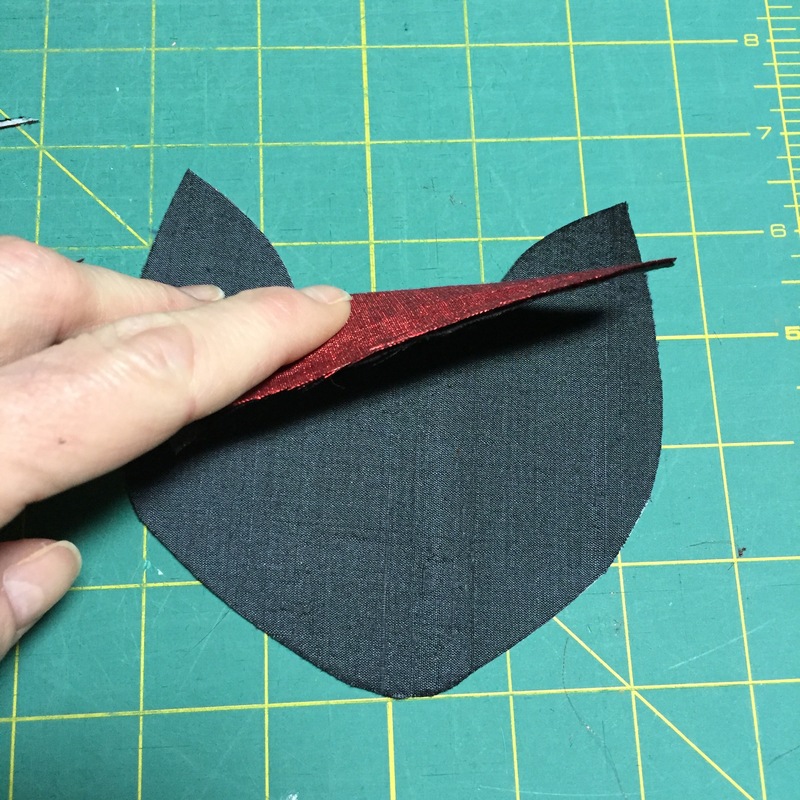 Next, I cut out the shape of a kitty’s head. Then, added his luminous green eyes (I keep small pre-fused scraps of solid colors in jars so that I can find them quickly! 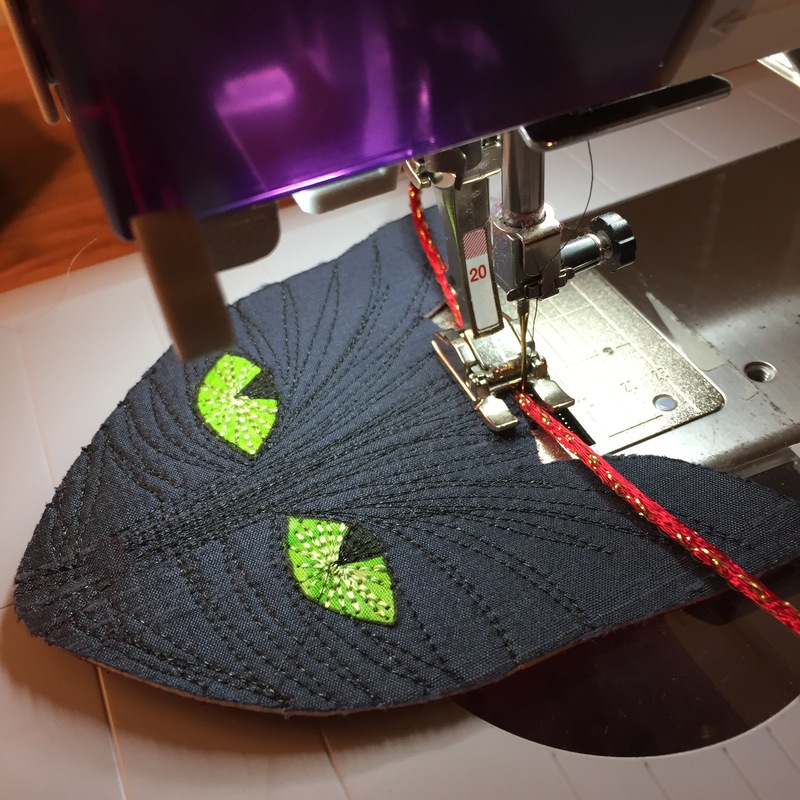 ), inking in the pupils, and packed him up with 2 shades of green thread and a cone of black metallic. I also grabbed a piece of festive red cording from my favorite NYC notions shop, Daytona Trimmings. I always begin at the nose and stitch upward…back down…curve out a little on the next line….and continue my way around the face, using the eyes as my focal points. After adding enough fur, I switched to a zig zag stitch and anchored the center of that red cord to the top of my little guy’s head so that he can be hung on the tree! 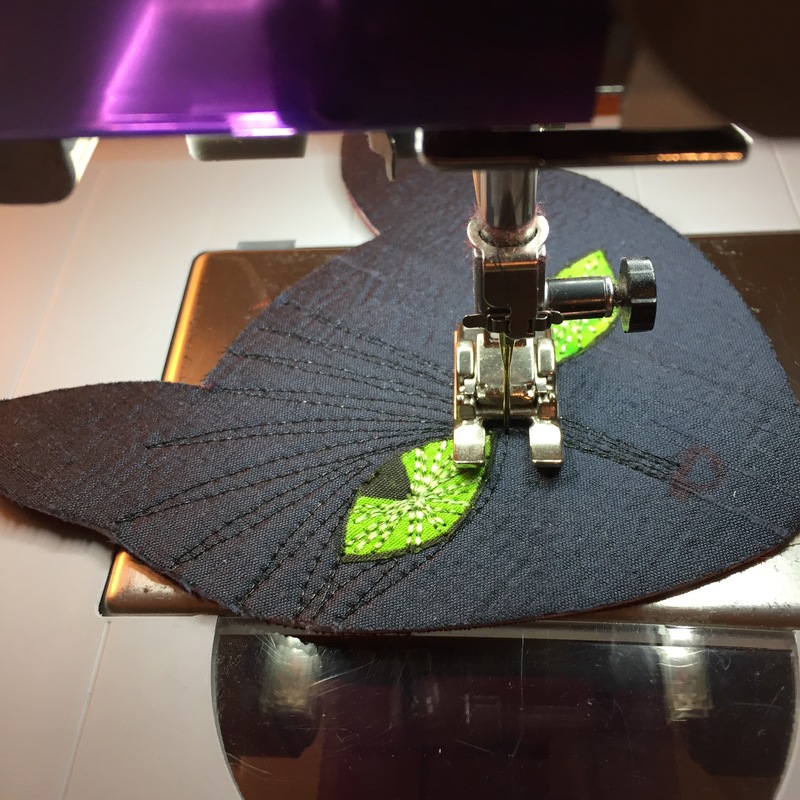 Begin at the top of the head, do a few stitches, then push the cording away and edge stitch all around the face until back at the top, secure cording with a few more stitches. 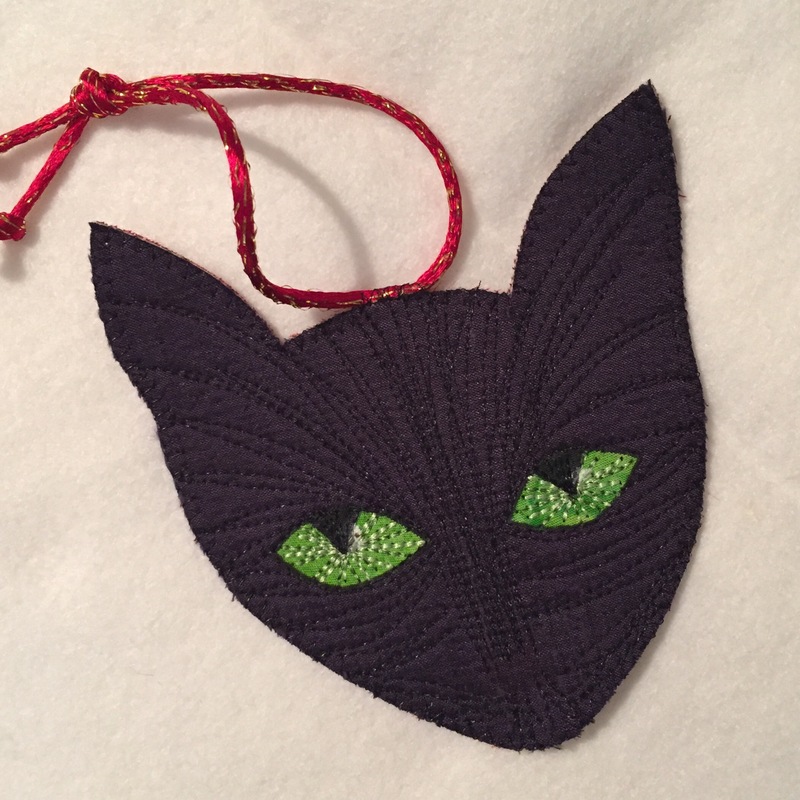 I will post a follow-up pic with corrected eye highlights and nose (for a black silk cat I like a touch of dark silver for the nose). Now to go find a piece of silk that looks like Jesse :). Have a fabulous weekend!! This entry was posted in Uncategorized on December 9, 2016 by neonkittyquilts.